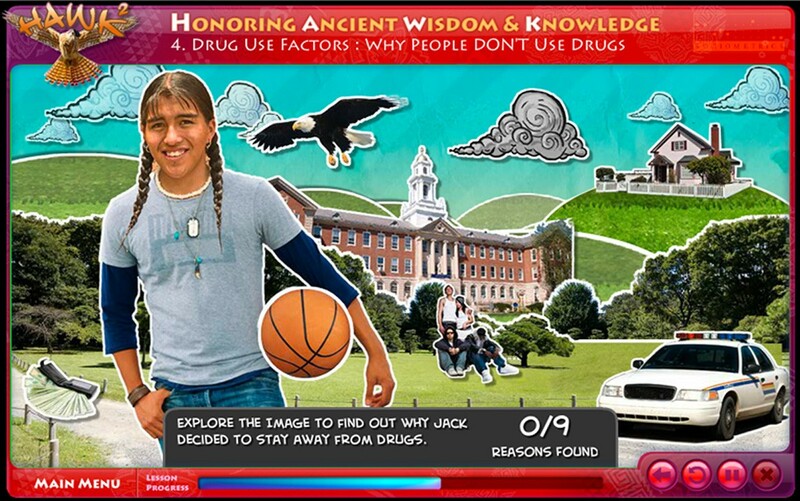 Hawk is an online learning program that teaches Native American teens about the potential dangers of drugs and alcohol. The client had had great success leading the course in person, but needed a method to reach those who lived in more remote, rural areas of the nation. That’s where this course was born. 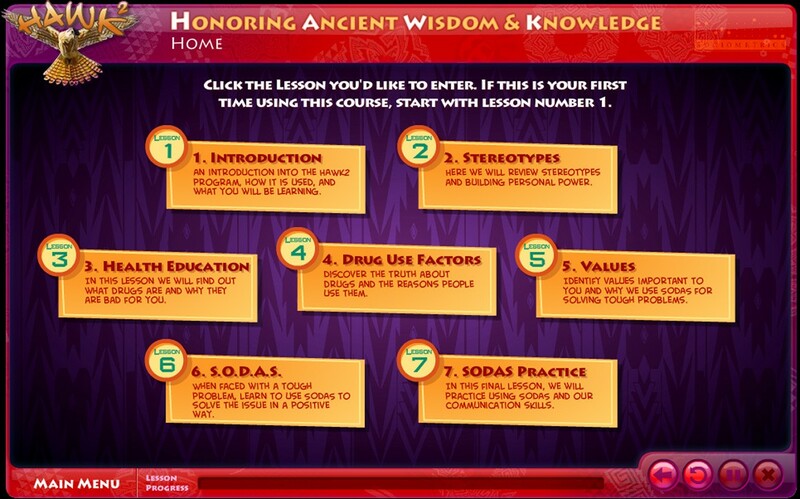 We reimagined the best aspects of the in-person training and created animations, games, and interactive videos. 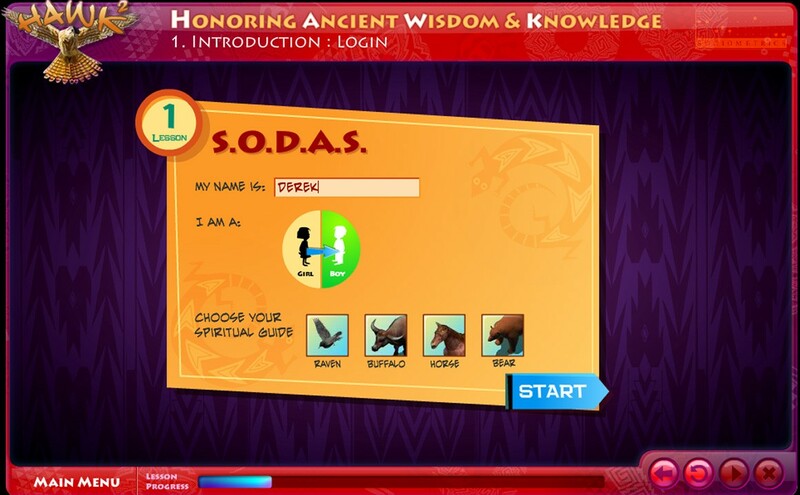 We used Native American imagery and a lively design approach that engaged the young audience yet still achieving the learning objectives of the client. UI Design, UX Design, Motion Design, Animation, Illustration.